We all get period cramps, right? Remember, only the ladies are reading. 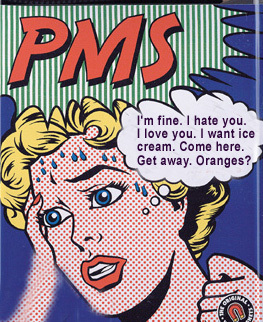 Some women get cramping that is mild to moderate, some women are bed-ridden for a day or two. I’m with the first group. I like to take some Advil to take the edge off on the first day of my period, but I can work and be pretty normal throughout those lovely few days. Until two months ago, I’d been on the pill since I was 21. I went on it to level out my mood-swings and improve my skin. I stayed on it because I loved being able to control when and how often I got my period. You know you don’t ovulate when you’re on the pill, right? Well when I went off, I ovulated for the first time in six years. It hurt. It lasted three to four days. It was like a bad period, but without the… umm… gross part. My second cycle wasn’t as bad, but I could still feel the slight pain of ovulation. This cycle? Holy crap! I couldn’t even stand up straight. I was trying to teach Shakespeare and was practically doubled over in pain. ← If we took a holiday..